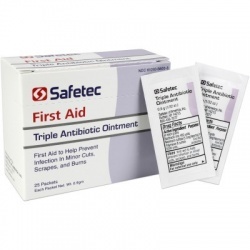 Used as topical treatment to help prevent germs and infection in minor cuts, scrapes & burns while they heal, as well as also recommended for tattoos and acne. 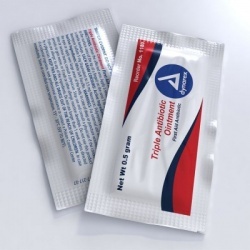 Can be used in pets. 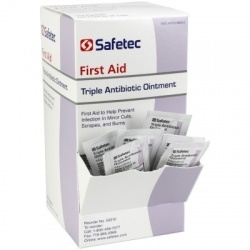 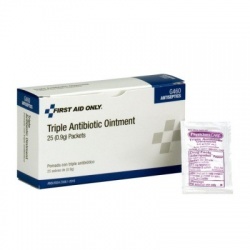 Wholesale-direct offers Triple Antibiotics in tubes and single use packets with bacitracin, neomycin and polymyxin antibiotics. 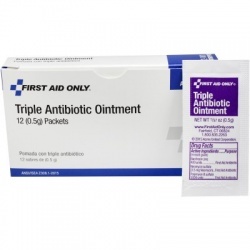 Also find Single Antibiotic Ointments. 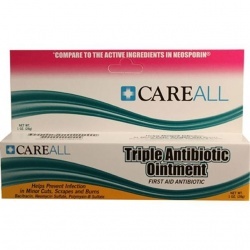 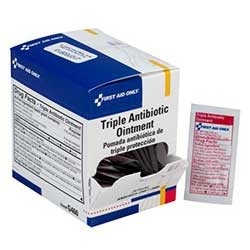 Triple Antibiotic Ointment There are 8 products.